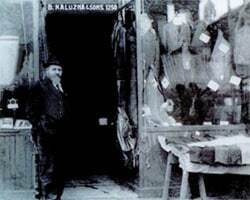 A member of the Kale family has been located in the South Loop on Roosevelt Road since 1921. We are a family owned and operated business that understands the needs of the real estate market. Kale is the middle name of Owner Nick Patterson. 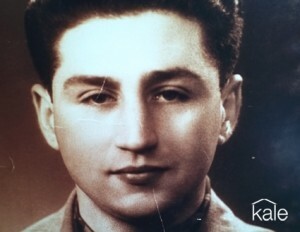 Sol Kale, Nick’s grandfather, founded the Kale Uniforms company in 1951. In that same year Sol also started to explore Chicago real estate investment opportunities. Both businesses flourished – in particular, Kale Uniforms grew into one of the largest suppliers to the police, postal and fire departments in the country. Kale Uniforms also supplied the uniforms for famous Chicago movies including Backdraft and The Blues Brothers. The real estate investment business continued to thrive over the years as well, and grandson Nick Patterson changed the name to Kale Realty in 2007. To the left is Sol Kale at age 21. 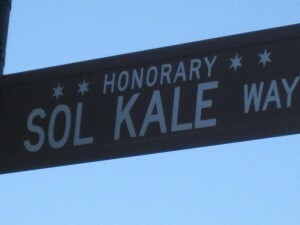 In 2006 the city honored Sol Kale with a street name on the corner of Roosevelt and Jefferson in Chicago’s South Loop for eighty-four years of continued support for the community. While Sol has passed on, Nick is here to keep the family tradition of excellent service going strong. To the left is a photo of Sol and Nick from many years ago.